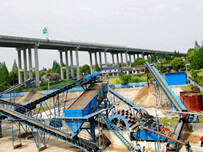 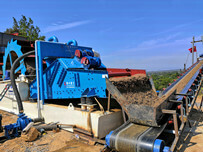 Luoyang Longzhong Heavy Machinery Company has many special technical designs in dewatering screen. 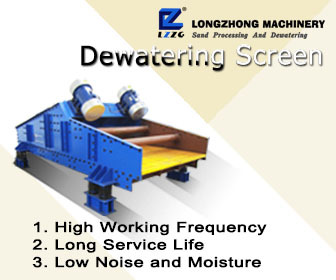 LZZG wear-resistant rubber lined on the side guard plate of dewatering screen protects it from wearing and reduces the pollution of iron. 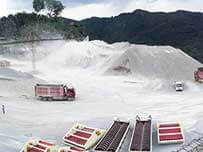 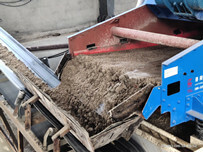 LZZG mine dewatering screen uses the LZZG embedded wear-resistant urethane mesh, its life is 3-10 times longer than the traditional metal mesh’s, and it avoids direct collision of metal frame and ore.
Vibration damper for dewatering screen is used rubber damper column, which is more suitable for wet conditions, and is durable.